The Polish Institute of International Affairs (hereinafter: PISM) published on 14 January report ‘Sanctions and Russia’. This issue holds attention of all international community, because recession in Russian economy and changes in trade relation with Western world influence not only concerned states, but also other powerful actors, such as China. Are sanctions effective and sufficient measure in the light of violation of international law by Russia? Which consequences are seen currently and what can we expect in the future? 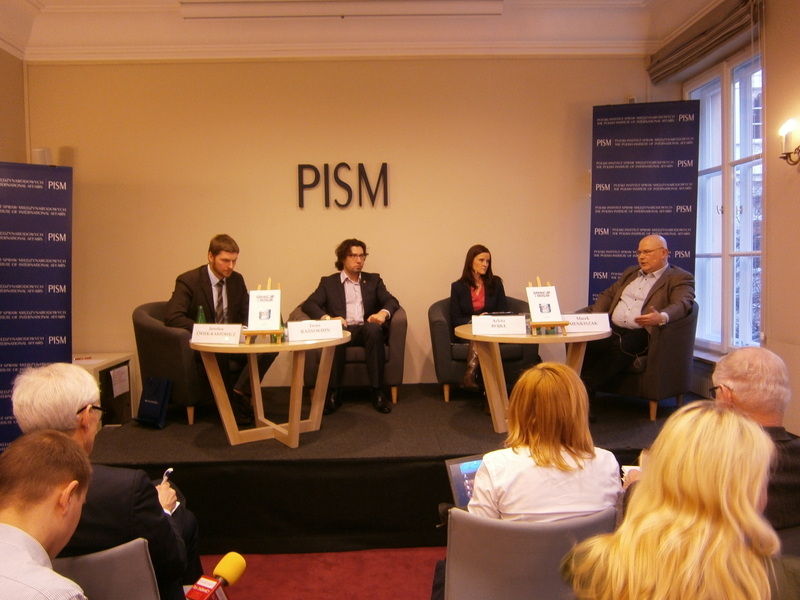 Those questions were asked during debate with the participation of Jarosław Ćwiek-Karpowicz (PISM), Marek Menkiszak (the Centre for Eastern Studies), Ivan Rassokhin (the Centre for Polish-Russian Business Cooperation) and Arleta Bojke as a moderator (TVP’s correspondent in Moscow). The report begins with explanation of the nature and mechanisms of sanctions. 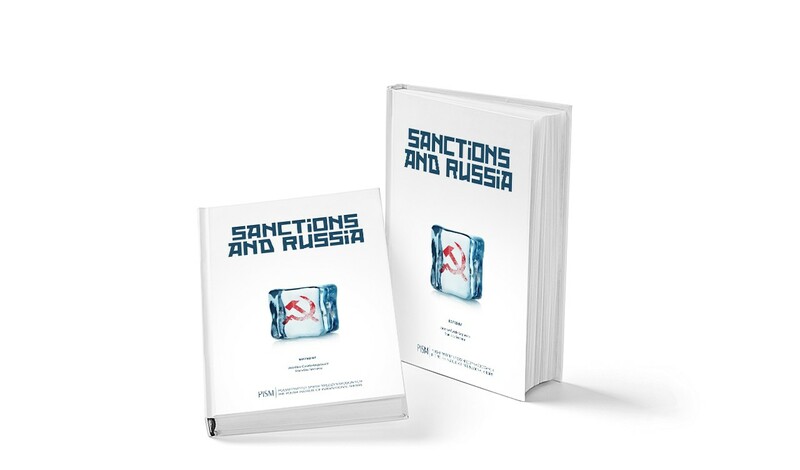 Then, authors try to assess sanction’s impact on various areas, such as Russian economy, politics, regions, bureaucracy, oligarchs, energy, military sector and foreign policy. Using statistical data, analysis and press reports PISM describes changes in Russia and presents interesting background of some phenomena which helps readers to understand situation. According to the report, general conclusion which may be drawn is that sanctions have severe influence to Russian economy and their main advantage was to refrain from further annexation of Ukraine. 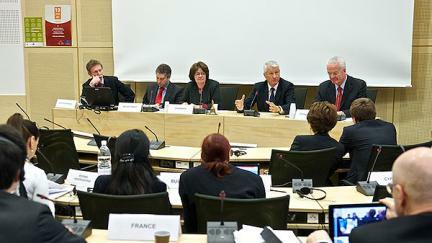 Opposite point of view was presented during debate by some of its participants. Marek Menkiszak strongly argued, that the most ‘painful’ sanctions are not those imposed by the USA and the EU, but… by Russia itself. He said that Russian embargo on goods from EU members states has the most negative impact of the current economic situation, because Russia is heavily dependent on import from these countries. It is worth noting that Russian propaganda has convinced the public opinion that problems with the availability of some products are due to Western sanctions – not by Russian embargo, which caused the situation. M. Menkiszak added, that Russian economy would be in recession even without sanctions, because of structural problems. Nevertheless, he found sanctions needed, as they constituted a kind of punishment and showed that Western states ‘exist’ and are able to take measures jointly. Ivan Rassokhin presented similar view. Namely, he pointed out that present crisis in Russian economy results from neglect of the past in the first place. Sanctions are just another nail in the coffin. He said that in Russia there is no specific monetary policy – The Central Bank of the Russian Federation ‘acts as a counter’. Russia did not do anything but a good impression. I. Rassokhin noted, however, that effects of sanctions may be observed especially by ordinary people in the biggest cities. He thinks that sanctions are not so unfavorable for the elite as it seems. In his opinion lack of equipment, parts and technical assistance, which is very crucial in connection with the unconventional oil extraction is the most serious, because nobody – apart from the USA – produce such a specialized equipment. I. Rassokhin also disagreed with one of the conclusions in the report related with restraint of Russia from further annexation thanks to introducing sanctions. He believed, that even without punitive measures Russia would not take another part of the territory of Ukraine – since connecting territory is not the main purpose. Russia tends to destabilize the situation in Ukraine, in order to unravel its integration plans with the EU. It goes in the current situation, and it is not necessaryto take the next steps. According to PISM’s report, ‘As the sanctions are relatively new, any analysis of the impact of prohibitive measures against Russia is still preliminary.’ I agree with this statement. Situation of Russian economy is complicated, and sanctions are one of the factors which aggravate it. Basing on report and information from other sources two scenarios seem to be possible. The first one assumes that Russia will fall into deeper crisis and will have to change policy towards pro-European aspiration of Ukraine and other post-Soviet states. The second scenario is related with fostering closer trade relations by Russia with Asian states, especially with China. The question is how it would determine position of Russia and China in the future? And the most important – how long will we have to wait for stable situation in Ukraine? Nonetheless, we can say proudly that the EU passed difficult test of solidarity. Full report is available on http://www.pism.pl/files/?id_plik=19045. „The world is a book and those who do not travel read only one page.” This quote shows that people need to and want to travel a lot. European Union is facing problems, which affects all of its Member States and tries to establish some rules to counter them. Major issues, which have to be solved by European Union and its legislation are: road and air traffic congestion, oil dependency and greenhouse gas emissions. Air traffic – is it possible? When I started to do my research before writing this article, I did not know that such challenge even exist. Some of the latest court cases involved air companies – Ryanair and Air Berlin – but about that a little bit later. Let’s focus on that peculiar traffic. Air corridors and all other aspects of that matter are very well organized, due to the fact that, air traffic management system handles about 26,000 flights daily. The number itself is quite overwhelming. Flying is becoming easier and cheaper thanks to new airlines and routes, which connects thousands of people across the globe. To handle all problematic issues, the European Union implements transportation policy which includes documents like Single European Sky Act which will support that trend continue. Forecasts indicate that air traffic levels are likely to double by 2020. The two packages (first adopted in March 2004 and second in March 2014) provides a legislative framework to meet future air transport safety, capacity and efficiency needs at European level. Other part of whole system, which deals with conditions of aircraft of the European Union are Open Skies agreements. 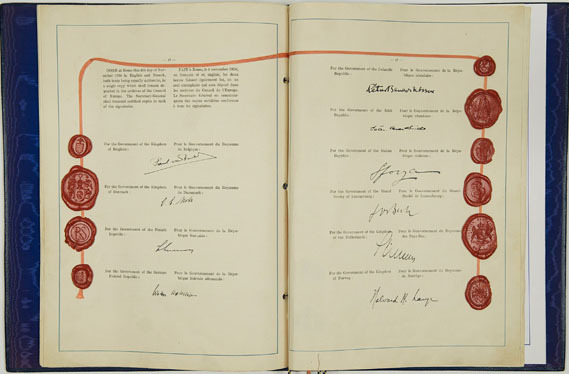 This contracts allow any European Union airline to fly from any European Union airport to a city in another country. Agreements like these, are also part of relations of the European Union with the United States of America, Canada, Israel, the Western Balkans, Morocco, Jordan, Georgia and Moldova – and more are on the way. Achieving the objectives of the Single European Sky Initiative, would not be possible without cooperation with the European Organisation for the Safety of Air Navigation (EUROCONTROL). Its development is connected with implementing rules, including technical specifications and expertise given by EUROCONTROL. Like always European Union want to cover up all of important issues involved in this field. Not only air traffics are important, but also common rules for the operation of air services in the Community. One of the cases mentioned before, refers to that topic (C 573/13). Air Berlin computerized booking system shows only final price – for flight chosen by customer. European Court of Justice ruled that „final price to be paid must be indicated whenever the prices of air services are shown, including when they are shown for the first time.” European Union want to ensure, that customers are able to compare effectively the prices for air services of different airlines. 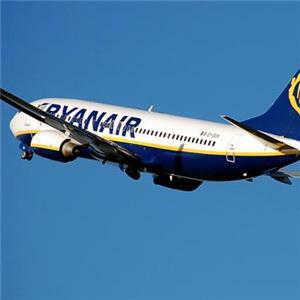 Second one, involving Ryanair (C 30/14) was connected with data protection in case of booking flights. 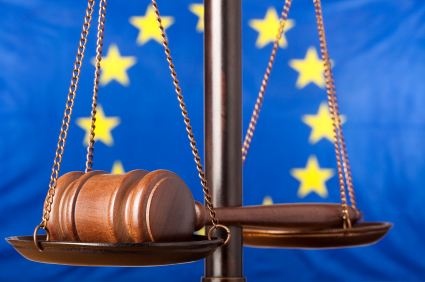 European Court of Justice decided, that screen scraping – automatic system or programme to collect some personal data used for commercial purpose – is completely illegal. 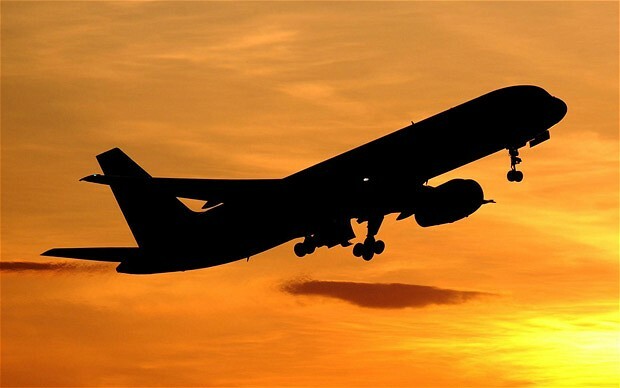 By focusing on regulating all issues connected with air transportation, European Union shows its knowledge, that lack of good legislation will result in extraordinary loses in sector worth billions of euros. Investment and improving the infrastructure must be strictly connected with needs of European Union citizens and shall be conducted within the Union’s goals. 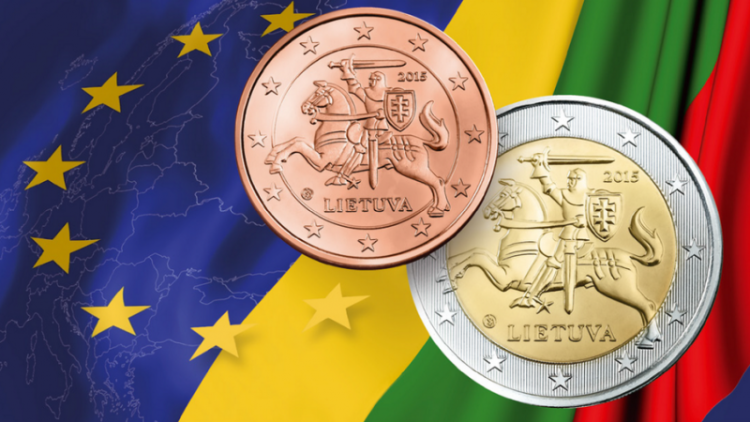 Since 1st January 2015 Lithuania is considered as the nineteenth member of Eurozone in the European Union and can finally fully enjoy its position in the European Central Bank. From 1922 to 1940 and then, continuously, from 1993, Lithuania had its own currency – Lithuanian litas (LTL). The change of currency was planned from more than decade when the agreement between Lithuania and the European Central Bank was concluded. Pursuant to the new document, signed in 2002, the litas was pegged to the euro at the rate of 3.4528 to 1. Although Lithuania still couldn’t be an active participant in meetings related to ECB monetary policy, the benefits of such enlargement were economically and politically based First of all, it has allowed the economy to be more predictable and balanced. Secondly, this was the first step toward adopting euro. The first attempt at establishing euro in this country came in 2007 but it was less than successful. The European Commission did not give a green light to Lithuania to adopt the euro currency because of a high inflation and economic crisis. All these factors delayed the change which a lot of Lithuanian citizens support. Fortunately, the delay suited Lithuania because it didn’t have to financially support weaker countries when the crisis came to the Eurozone, considering her unbalanced internal economic situation. Now, when Lithuania finally meets all legal and economic requirements (e.g. price stability, sound and sustainable public finances, exchange rate stability), it can officially benefit from EU’s common currency. The most important advantage of adopting euro in Lithuania is coming nearer to the European Union. For any European country, being a member of the EU is significant, but being a member of the EU and Eurozone at once opens great possibilities and give stronger position on the international arena. Attractiveness of the region increases – new investors will not come across any obstacles of currency exchange. 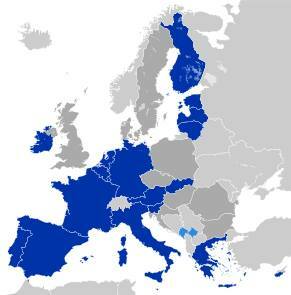 What is more, market competitiveness grows in comparison to other Baltic countries which have already adopted euro. This factor means a lot for Lithuania which, very often, occurs with Estonia and Latvia that are in Eurozone from 2011 and 2014 respectively. The risk of omission of Lithuania is now quite small. Change of currency is only a new beginning for reforms which will have the desired result in investments and more integrated trade with the EU. For a new member of Eurozone this can be considered as a crucial point in near development due to a new Russian policy which imposed embargo on foodstuff from the EU. In result, the forecast of economic growth of Lithuania for 2015 has dropped from 4.3 to 3.3%. The Lithuanian government assures its citizens that they will not feel the appreciation of prices thanks to a special agreements between state administration and entrepreneurs all around the country. Those who will try to seize an opportunity of such a big change will be punished.